Raceway ATV's Yamoto 200-GPY: Raceway ATV's Yamoto GPY-200 is another one of Yamoto's convenient 4 stroke Motorcycles. 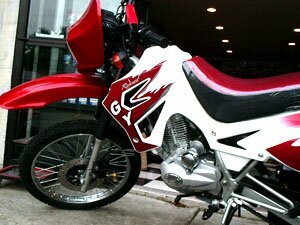 The Yamoto GPY-200 is a 5-speed chain drive indoor style motorcycle. The Yamoto GPY-200 comes standard with a two-option starter system. Kick start and electric start. The Yamoto GPY-200 has a two-person rider capacity. 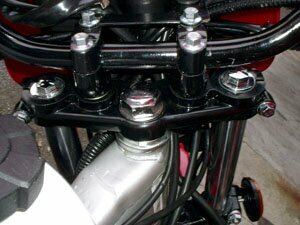 With a great built front and rear shock absorber suspension the Yamoto 200-GPY can ride with the best of them. 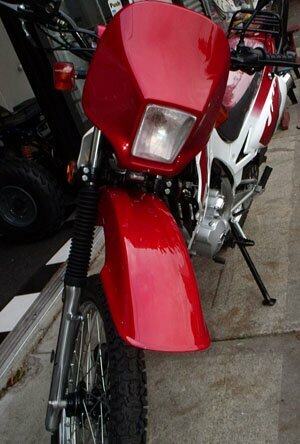 The Yamoto-GPY-200 indoor style Motorcycle is an outstanding bike for off and on road riding. The Yamoto GPY-200 comes in four base colors, Yamoto Red, Yamoto Blue, Yamoto Silver and Yamoto Green. 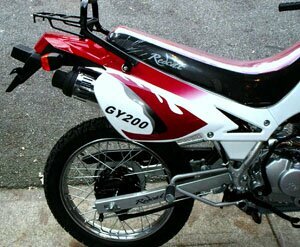 We at Raceway ATV are very confident that the Yamoto GPY-200 is a bike that our customers will be very satisfied with. For the price of the Yamoto GPY-200 you just can't bet it. 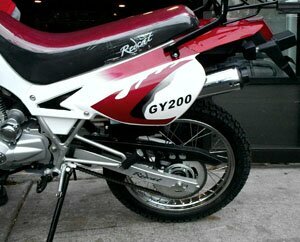 The Yamoto GPY-200 is a quality indoor style motorcycle. 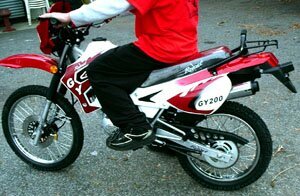 The Yamoto GPY-200 meets all street requirement laws, but every state has different laws and requirements. So you must check with your state DMV to know if the Yamoto GPY-200 can be registered in your state. 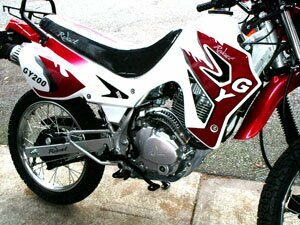 Raceway ATV will assist our customers in anyway that we can to help your registering process of your Yamoto GPY-200 Motorcycle, but we cannot give you any guarantees. Like any of our Yamoto Redcat or Kazuma products the Yamoto GPY-200 comes with a 6-month warranty and free shipping any were in the U.S. No tricks FREE! Replacement parts are never a problem when buying your Redcat Yamoto GPY-200 from Raceway ATV. We always have your parts on hand. Raceway ATV is an authorized Yamoto, Kazuma and Redcat dealer. We are available to all of our customers 7 days a week with a toll free number. Please feel free to call us. 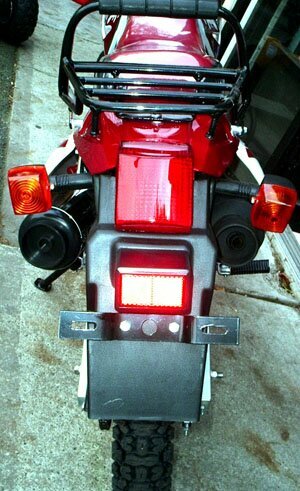 Raceway ATV is a reliable and professional company that's been in the motorcycle and ATV industry for over 10 years. When it comes to your Yamoto, Kazuma and Redcat products there is no one better, Guaranteed. If you are not happy with Raceway ATV or any of are Kazuma Yamoto or Redcat products, with in 15 days we will take it back and refund your money. If you can show us someone else selling our Yamoto, Redcat, or Kazuma ATV's or motorcycle cheaper we will beat their price guaranteed! When we say we are the best Kazuma, Yamoto, and Redcat ATV dealers, we mean it. 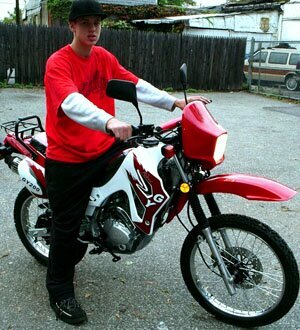 At Raceway ATV we are proud to say we are most concerned about riding safety so please read your Kazuma, Yamoto, Redcat owners manual before operating your ATV or Motorcycle Dirt bike.